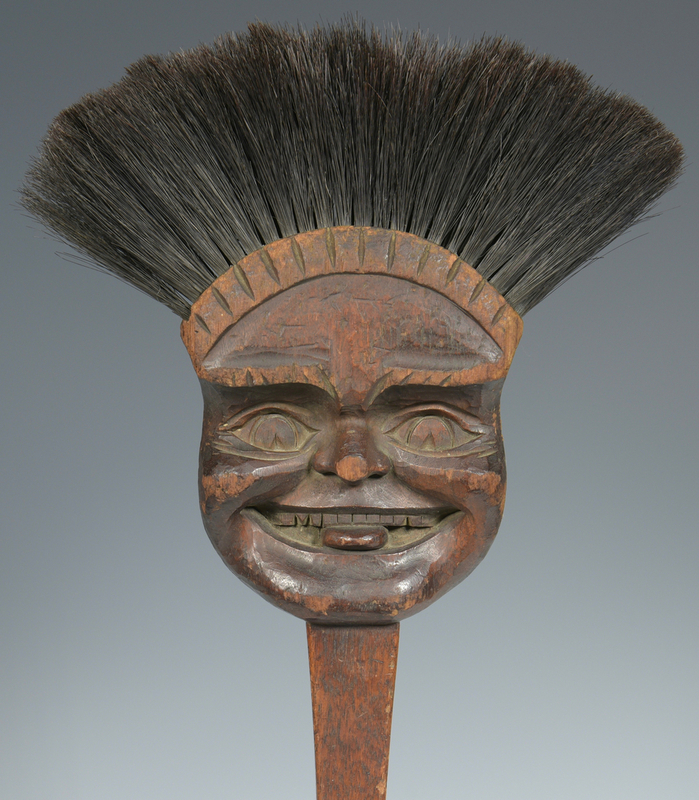 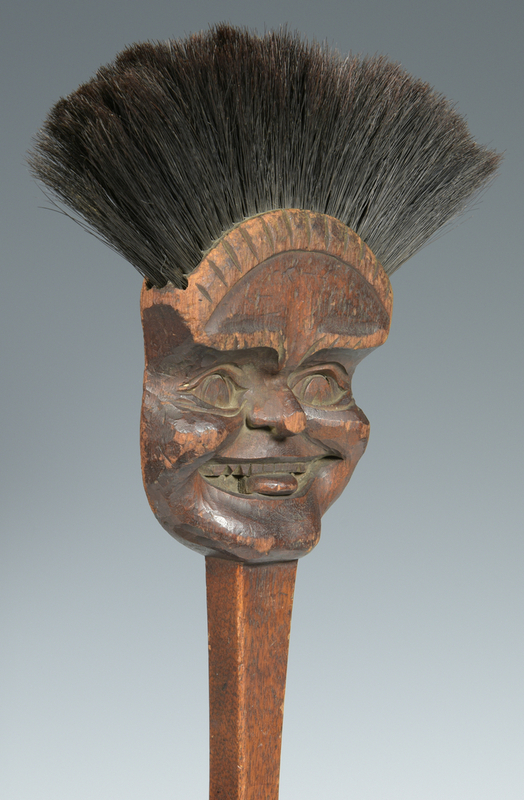 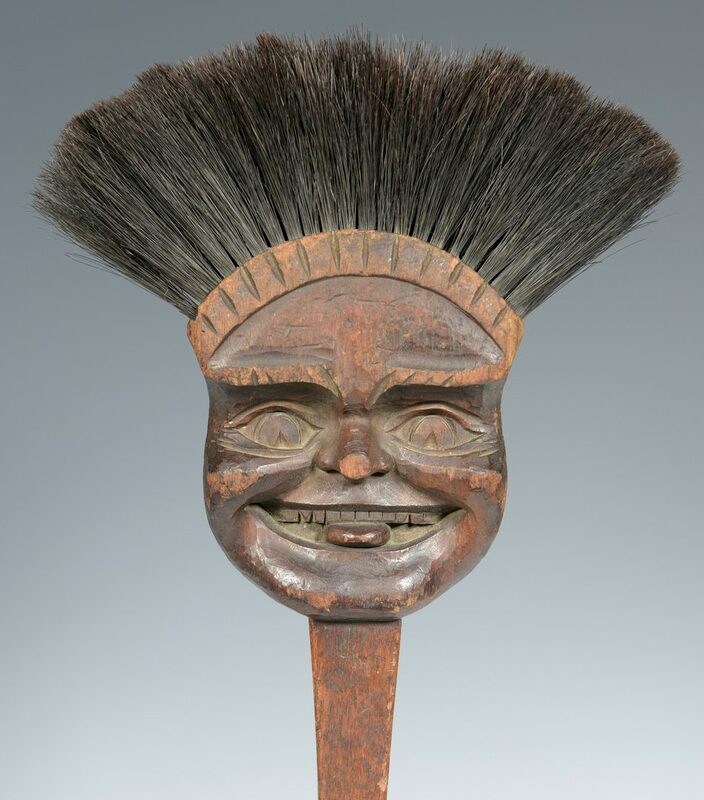 Biltmore Industries "Golliwog" fireplace broom, walnut, carved grimacing face with tongue sticking out and bristle hair. 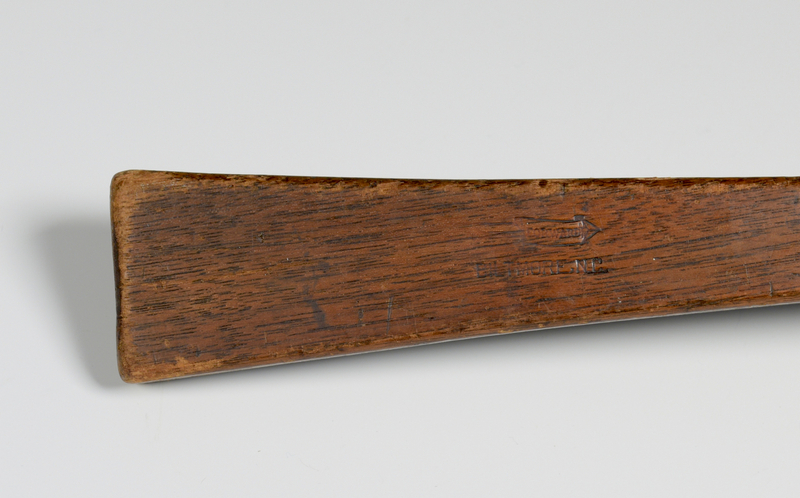 Handle marked "Forward/Biltmore/NC". Original finish. 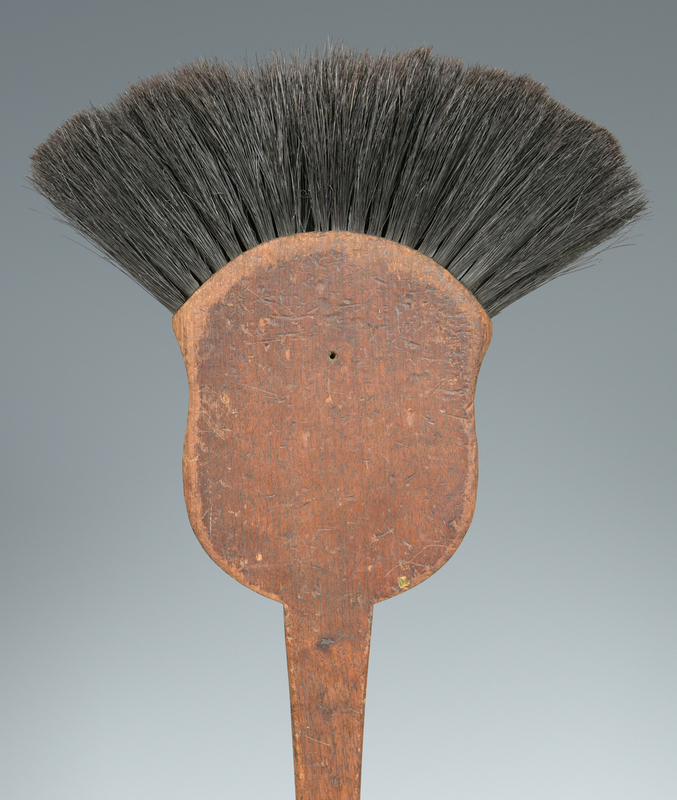 22" H. Circa 1905-1914. 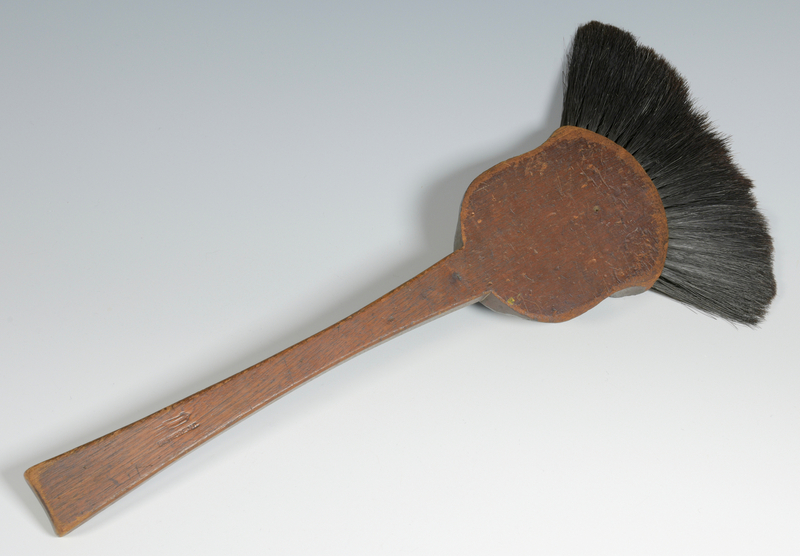 CONDITION: Overall very good condition, general wear/losses to edges due to use.